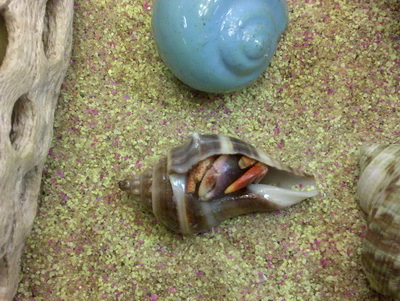 There are a lot of shells being sold as hermit crab shells which are, in reality, not suitable at all. 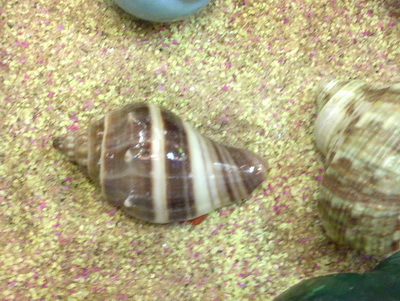 The obvious painted shells should be avoided at all costs but here are some other shells, painted or not, that you should not buy for your hermit crabs. 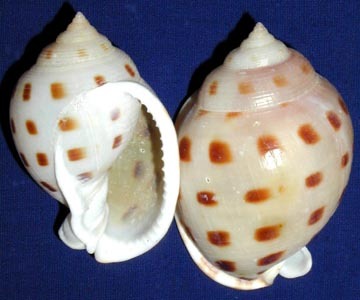 Angaria delphinus – these shells are too narrow and the spiral is wrong. 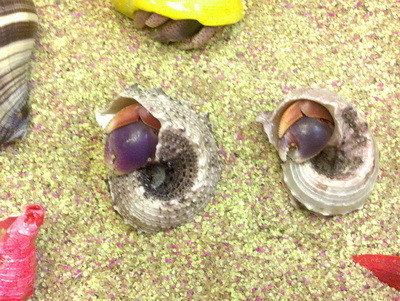 These hermit crabs I found at Earthbound Trading have definitely been forced into these shells and were likely trapped. There were too many of them for me to buy them all in hopes of saving them. Cassispilia not an ideal shell due to rough edges. If the crab is able to modify the shell and wear down the ‘teeth’ these would be usable. 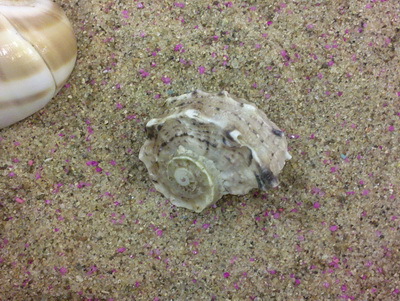 Previous Post: So you want to buy a hermit crab?